The 5 contestants vying for this year’s Miss Pacific Islands crown, including Tonga were warmly welcomed by the Tonga Masani villages upon their arrival this week. Each of the contestants were welcomed upon their arrival at the airport by a special committee organized by the Ministry of Tourism. 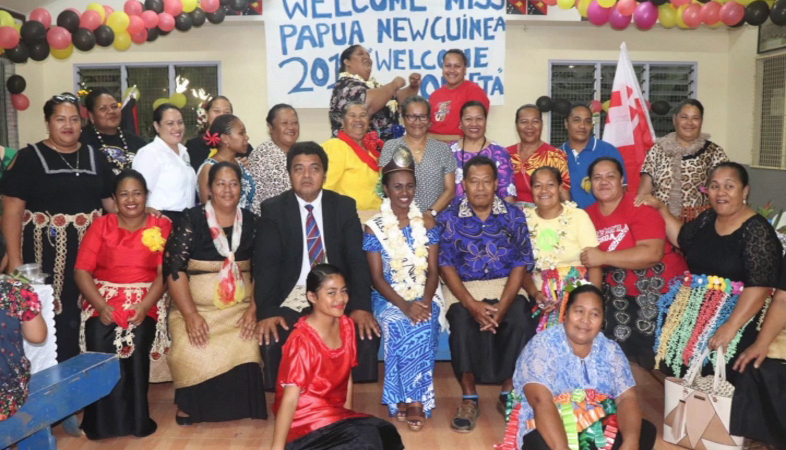 People of Lavaka in Lomaiviti warmly welcomed the Miss Papua New Guinea – Leoshina Mercy Kariha, Miss American Samoa – Magalita Johnson was received by Hofoa, Lakepa warmly welcomed the Miss Tuvalu – Emeli-pelesa Panapa while Fua’amotu welcomed Miss Samoa -Sonia Piva and Miss Tonga – Kalolaine Funganitao was welcomed by the people of Folaha. Villages who had been assigned to take care of each of the contestants were among the villages who won the most outstanding prizes for the cleanest and most beautiful villages during the Masani Connect competition of the Ministry of Tourism earlier this year. The reigning Miss Pacific Islands – Matauaina Toomalatai of American Samoa arrived in Tonga this afternoon to hand over the crown to the winner of this year’s competition. The program will start tomorrow with an orientation at the Tanoa Dateline Hotel and a combined prayer service will be held Sunday at the Centennary Church in Nuku’alofa followed by a royal luncheon hosted by Her Majesty Queen Nanasipau’u at the Polata’ane Royal Residence.